1) (Hertfordshire). Or, two chev. betw. three fleurs-de-lis gu. Crest—Out of a ducal coronet or, a bull’s head per pale ar. and gu. 2) (Lord Mayor of London, 1733). Erm. a chev. betw. three fleurs-de-lis gu. 3) (East Smithfield). Sa. a fesse or, fretty gu. betw. three bulls’ heads trunked ar. armed of the second. 4) (Suffolk). Or, two chev. betw. three fleurs-de-lis gu. Crest—Out of a ducal coronet gu. a bull’s head ar. 5) (London, Camden’s grants). Or, two chevronels gu. in chief three fleurs-de-lis of the last. Crest—On a mural coronet gu. a bull’s head erased ar. 6) Gu. a chev. erm. betw. three round buckles or. 7) Or, on a bend sinister az. a mullet of the field. 8) or Barbery – Or, on two chev. gu. three fleurs- de-lis of the field. 9) Riga – (Nob. du St-Empire, 31 mai 1786) – Fascé d’argent et de gueules chaque fasce d’argent ch de trois mouchetures d’hermine de sable. 10) (Stamford, co. Lincoln, London, and Bury St. Edmunds). Ar. two chevronels betw. three fleurs-de-lis gu. in the centre chief point a cinquefoil of the last. Crest—Out of a ducal coronet or, a bull’s head ar. charged on the neck with a cinquefoil gu. 11) Barry of ten or and az. on a saltire of the first, a fleur-de-lis of the second. Crest—On a staff raguly fesseways an eagle displ. with two heads az. the heads ducally crowned or, the inside of the wings, and legs gold. 12) (Fremington, co. Devon, originally of Upcot, co. Somerset). Ar. two chev. betw. three fleurs-de-lis gu. 13) (Staffordshire). Gu. three mullets ar. within a bordure erm. (another adds a canton or). Crest—A passion cross on three grieces gu. Motto—Nihilo nisi cruce. 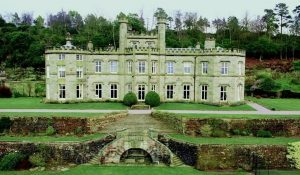 14) (Bolesworth Castle, co. Chester). Ar. a saltire gu. betw. a garb in chief two escallops in fesse and another in base az. Crest and Motto, same as the preceding. 15) (Muldearg, co. Ross, 1672). Ar. a St. Andrew’s cross betw. a garb in chief two escallops in the flanks and another in base gu. Motto—Nihilo nisi cruce. 16) Grande-Bretagne – (Ex-Libris) – D’azur au lion d’argent lampassé de gueules à la bande (ou fasce) d’or brochant sur le tout Casque couronné Cimier un lion issant d’argent lampassé de gueules Lambrequin d’argent et d’azur. The surname of Barber (Barbour) is an occupational name meaning barber. The occupation of barber was first introduced in Rome by the Greek colonies in Sicily in 296 B.C., and the barber shops became a very popular center of daily news, gossip and life. A morning visit to the Tonsor became a part of the Romans daily routine which was an important as a visit to the public baths, and a young man’s fist shave (tonsura) was considered an essential part of his coming of age ceremony. 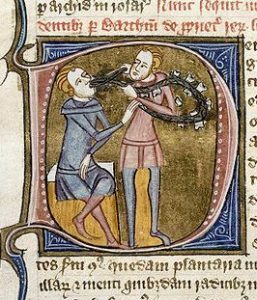 In the medieval times barbers not only cut hair but they also practiced surgery and pulling of teeth. The different forms are Anglo-Norman and French: Barber, Old French: Barbier, Late Latin Barbarius. 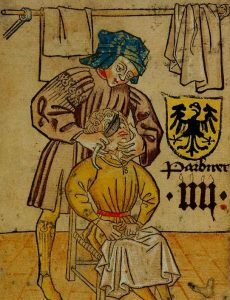 A medieval barber was much different than the barbers we think of today cutting hair, as the following except from Wikipedia shows: “The barber surgeon, one of the most common European medical practitioners of the Middle Ages, was generally charged with caring for soldiers during and after battle. In this era, surgery was seldom conducted by physicians, but instead by barbers, who, in having razors indispensable to their trade, were called upon for numerous tasks ranging from cutting hair to amputating limbs. In this period, surgical mortality was very high, due to blood loss and infection. Yet since doctors thought that blood letting treated illness, barbers also applied leeches. Meanwhile, physicians considered themselves to be above surgery“. The last name Barber ranks 3,403rd in popularity worldwide as of the 2014 Census and approximately 165,456 people carry the Barber surname worldwide. The name ranks particularly high in the following six states: Georgia, Texas, California, Florida, New York, and North Carolina. It ranks highest in the following countries: United States (100,090), England (29,860), Australia (9,948), Canada (7,558), Spain (3,008), Philippines (1,839). Alexander le Barbur, London, 1273. Hundred Rolls. Geoffrey le Barbir, Huntingdonshire, ibid. Henry le Barber, Oxfordshire, ibid. Henry le Barbur, Somerset, 1 Edward III: Kirby’s Quest. John Sturley and Agnes Barbor: Marriage Lic. (Faculty Office) in 1543. John le Barber, Cambridgeshire, ibid. Thomas le Barbitonsor. Placitorum in domo capitulari Westmonasteriensi. William le Barbitonsor. Rolls of Parliament. Barbour, William, Esq. of Brlany and Dalshangan, County, Kirkcudbright, J.P., born 1 Nov 1810 is eldest son and successor of the late James Barbour, Esq. of Barlay (who died 1 Feb. 1855), by Elizabeth his wife, eldest daughter of the late David Kennedy, Esq. of Knocknalling, J.P. an D.L. Mr. Barbour succeeded to Dalshangan 26, May 1871, at the death of his only brother Thomas Barbour, Esq. of Dalshangan, Kirkcudbright, J.P.
Arms ~ Arg., a saltire az., two escallops in fess, one in base, and a garb in chief or. Crest ~ An eagle, rising, ppr. Seats ~ Barlay, New Galloway; and Dalshangan, Carsfaira, County, Kirkcudbright. Barbour, Robert, Esq. of Bolesworth Castle, Chester, J.P. and D.L., born 1797; married 1st 1827, Elizabeth daughter of Thomas Allan, Esq. of Linkfield, East Lothian; and 2ndly 1836, Janet-Andrew, daughter of William Fleming, Esq. of Sawmill Field, Glasgow and has issue 1) George of Kingslee, Chester, Barrister-at-Law of the Inner Temple, M.A., Trinity College, Cambridge, J.P., Lieut. Earl of Chester Yeomanry Cavalry born 1841 married 1869, Caroline Easton daughter of Robert-Andrew Macrie, Esq., of Ashefield Hall, Chester; and Dreghorn Castle, Mid-Lothian and has a son Robert born 1876. 2) Janetta. Mr. Barbour purchased Bolesworth Castle 1857, and served as High Sheriff, Chester, 1866. Lineage ~ Humphrey Barbour, Esq. of Bankhead, Kilbarchan, County, Renfrew married Elizabeth only daughter of John Freeland, Esq. 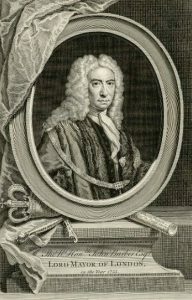 of Glasgow and was father of Robert Barbour, Esq. of Boleworth. Arms ~ Arg. a saltire gu., between garb in chief, wo escallops in fess, and another in base, az. Crest ~ A passion cross on three grices gu. Barber-Starkey, William Joseph Starkey, Esq. of Darley Dale, County, Derby, B.A. Trinity College Cambridge, and of the Inner Temple, London, born 1 August 1847; married 29, April 1873, Margaret Aimee, 3rd daughter of Sir George Kinloch, 1st bart. of Kinloch, County, Perth, and has had issue, 1) Joseph Edmund Kinloch born 12 Feb. 1874 died 2 Aug. 1875 2) Margaret Sarah Mary Josephine born 17 Aug. 1875. 3) Georgina Blanche born 2 Feb. 1877 4) Aimee Josephine born 23 Oct. 1878. Mr. Barber-Starkey took the name of Starkey in addition to that of Barber and adopted the arms of Starkey in compliance with the wish of his aunt Sarah Starkey, of The Hall Huttons-Ambo, County, York. Lineage ~ Richard Barber of Whitemoor Hall in the parish of Duffield and County Derby, Gent. born 2 April 1712; married Ann Bakewell, of Frith Hall, County Leicester. He married subsequently Ann Willot of the parish of Duffield, County Derby, and dying 29 July 1789, left one son. Rev. William Barber born 10 June 1779, M.A. of St. John’s College Cambridge, and Vicar of Duffield and Mugginton, both County Derby. He married Juliann Maria, daughter of William Henry Wayne, of Hill Cottage, Quorndon, County Derby, and dying 19 May 1858, left three children, 1) Julianna Maria born 2 May, 1807 2) Richard born 14 Feb. 1811, M.A. (Rev), St. Johns College, Cambridge 3) William Henry (Rev) born 10 Nov. 1814. The third son, Rev. William Henry Barber, M.A. of Magdalene College, Cambridge, Perpetual Curate of Quorndon, County Derby; married Mary, third daughter of John Starkey, of Wheat House, Huddersfield, County, York, and dying 19 April 1872, was succeeded by his only child, the present William Joseph Starkey Barber-Starkey, Esq. of Darley Dale. Residence ~ The Netherton Meigle, Perthshire. Nihilo nisi cruce. With nothing but the cross. BARBER. New Hampshire. Nicholas Barber, Portsmouth, 1759. (London.) Or, two chevronels gules in chief three fleurs-de-lis of the last. CREST—On a mural coronet gules, a bull’s head erased argent. Barber, . . . ., London, or, two chevrons, and in chief 3 fleurs de lis gu., by Camden. Morgan’s Sphere of Gentry, 118. Barber,, Edward, ais. Bannock, of Denver, Norfolk, Esq., and to the several descendants of Robert, his father, dec**, testified, by John Withie. Harl. MS. 1105, fo. 21, and Bysshe’s Grants, fo. 23, Her. Coll. Barber„ Gabriel, London, gent., 1627, by H. St. George, Clar. Grants II., 653, same as preceding, a cinquefoil ? for dilf. Barber„ Robert, Ashmore, Dorset, crest 1 April 1670, by Walker. Harl. MS. 1172, fo. 69 ; Add. MS. 14,293, fo. 78 ; 14,294, fo. 23.